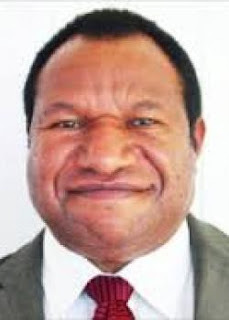 Papua New Guinea's Western Highlands capital Mt Hagen came to a standstill this morning as candidates contesting the Hagen Open Seat plan to petition the Electoral Commission over the declaration of Hagen Member-elect, William Duma. NBC News was informed the security forces on high alert, with all stores closed. The Kagamuga airport also remains closed for the second day, with no flights in and out of Mt Hagen. The candidates are questioning the declaration of Duma when there were still 28 boxes to be counted. The Returning Officer had put aside the boxes saying they were tampered with and proceeded with the declaration of Duma on Saturday. Meanwhile, defeated Kavieng MP Ben Micah has refused to congratulate National Alliance party’s Ian Ling-Stuckey who was declared winner of the seat, saying he plans to challenge the result in court. “I am not going to congratulate him because my people are not happy with the way that the election has been run. Ian Ling-Stuckey won in questionable circumstances. I have no congratulatory message, Micah told The National newspaper. He said his loss “is part of the larger corruption of the electoral system”. Ling-Stuckey, the former New Ireland governor, told The National last night that he was happy with the win.